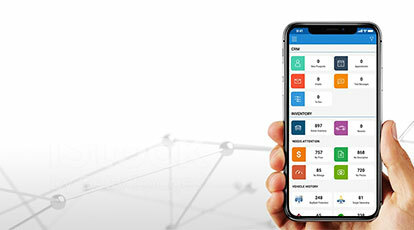 Managing your dealership on the go doesn’t get any easier or faster than DealerCenter’s fully integrated mobile solution. 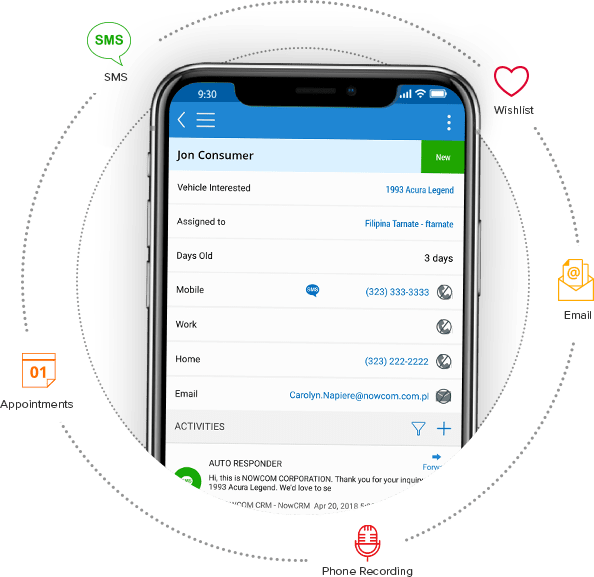 Oversee your deals, upload inventory, run vehicle history reports, communicate with customers, and more, right from your phone. upload to your website and listing sites. 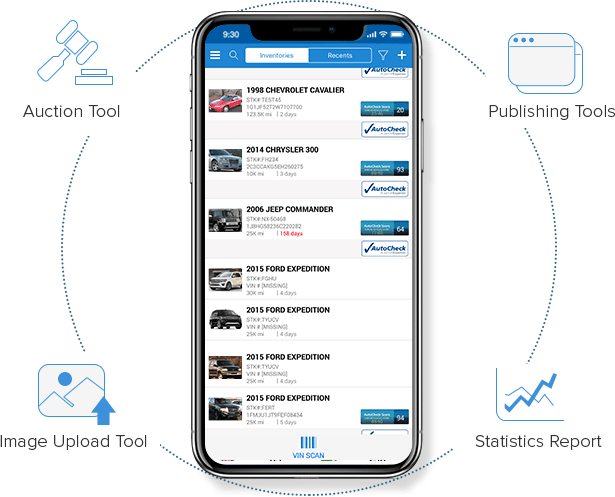 Quickly add vehicles to active inventory and upload to your website and listing sites. 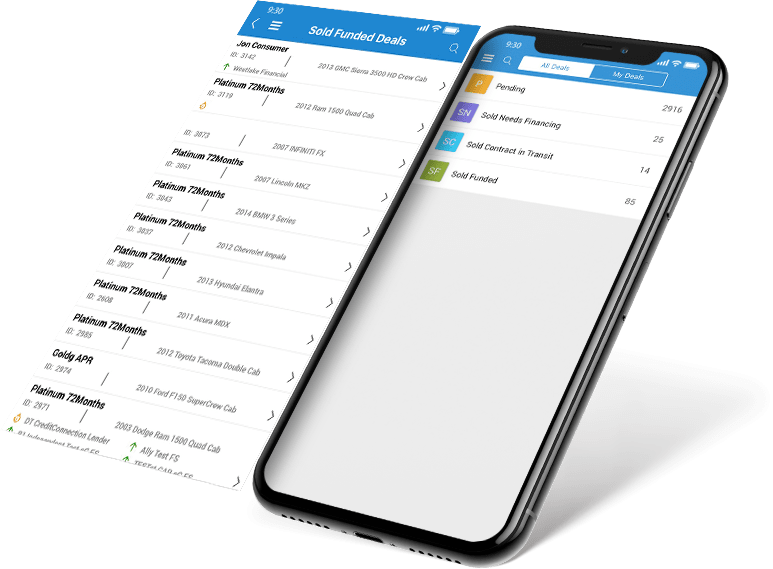 View and manage inventory details, pricing, costs and more. Input Mileage & Options for Book Values. 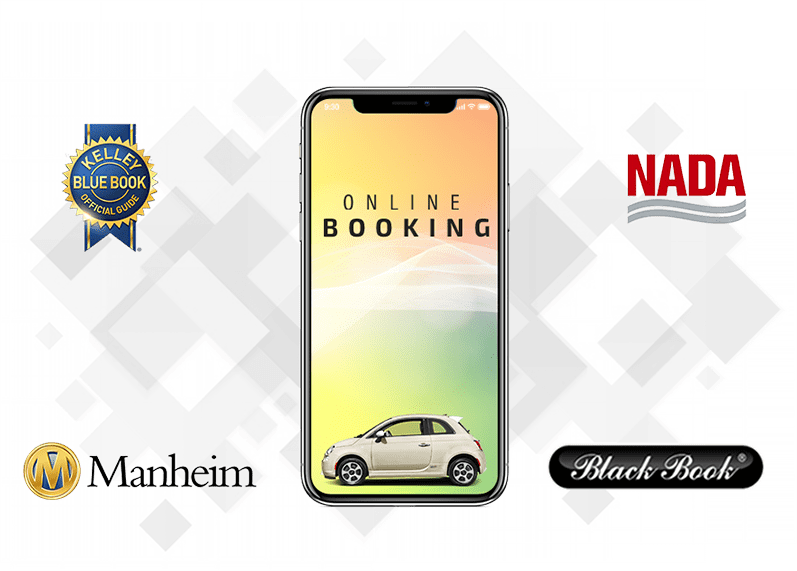 NADA, KBB, Black Book and Manheim All Available Subscriptions. Pull Auction, Retail, Wholesale and Private Party Values. Values Automatically Sync with DealerCenter.com Account. 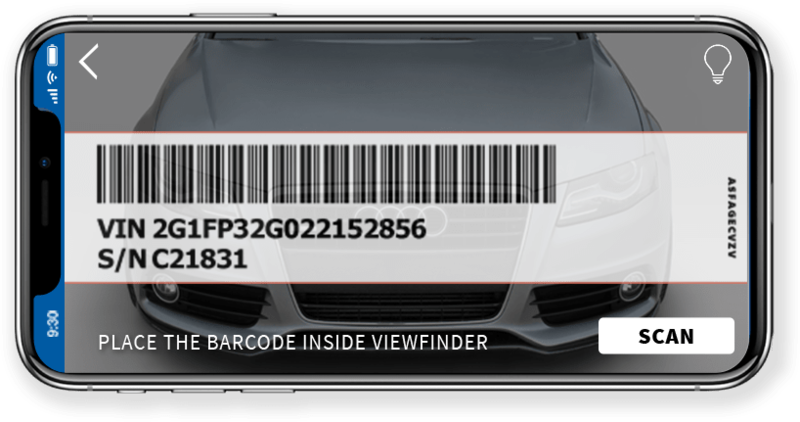 Access Experian AutoCheck or CarFax Reports Quickly. Run Reports at the Auction to Know What You Are Buying. View Previously Run Reports on All Inventory. All Data Syncs with DealerCenter.com Account. 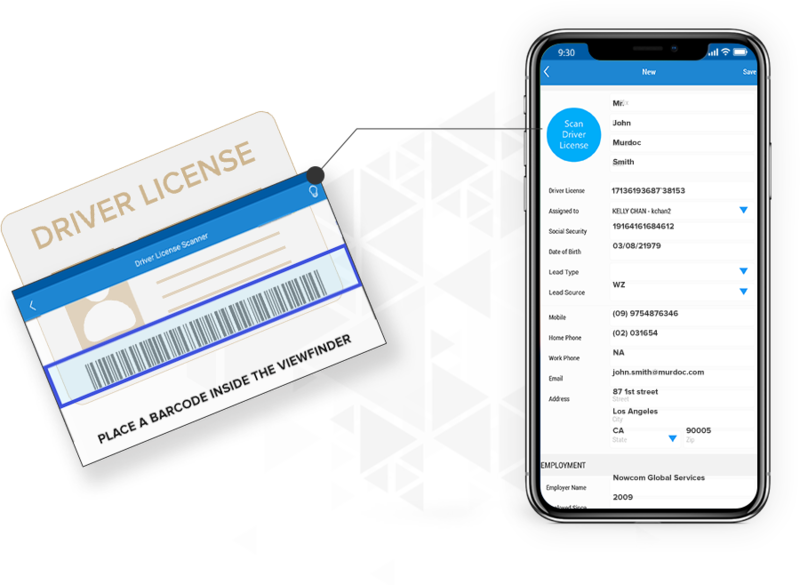 Driver’s License Scanner with Check-In/Check-Out Functionality. Manage Calendar with Appointments, Tasks and Notifications. as a New Customer Record. Avoid Errors and No More Manual Data Entry! Scanned Data Instantly Uploads to DealerCenter.com Account as a New Customer Record. Always Have Access to Deal Statuses. Monitor Lender Responses for Approvals and Declines. Search Deals by Customer Name or Deal ID.